The Honey Baked Ham was established in the year 1957, and harry J. Hoenselaar was the founder of the company. The company invented the unique spiral slicer, it also marketed this idea to different companies, and when none of them seemed interested in the spiral slicer then the owner determined to open a ham store. There are more than 40 corporate stores of Honey baked Ham, which are still available in the U.S. and 400 franchise locations are still working in other parts of the world. 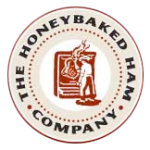 After 2004, the Honey Baked Ham Company stopped manufacturing their own hams production and started purchasing hams from another companies. There are currently 0 consumer reviews about Honeybaked Ham available. Share your review. Please take a note that you are about to post a public review about Honeybaked Ham corporate office on CorporateOffice.com. This review will be public, so please do not post any of your personal information on this website. If you would like to contact the corporate offices of Honeybaked Ham, please use their contact information such as their phone number, website, and address listed above to contact them. However, sometimes staff from Honeybaked Ham headquarters do read the reviews on this website.